What can be more heartwarming for a merchant than a contemplation of his business growth? Perhaps, only more rapid gain increase. However, weekly revenue graphs can’t get to the cosmic heights themselves - even the smallest bettering is preceded by a dedicated work and implementation of fresh ideas. As they say, nothing is impossible to a willing heart. 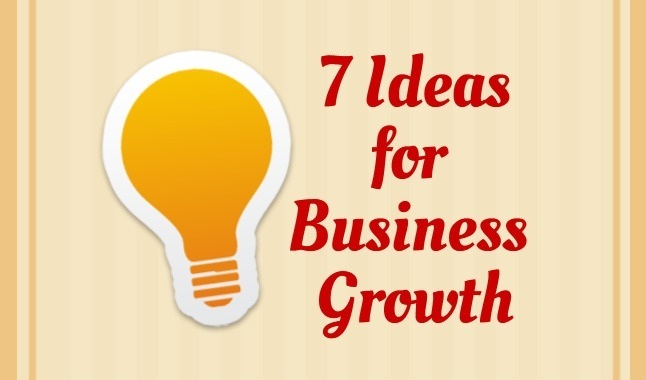 If you really want, you can find a tremendous number of growth opportunities. But how many of these ways of improvement doesn’t require significant financial infusions? Well, you may be sure that at least 7 of them are free, and these are the ideas we’re going cover next. Your industry already has some online personas with large auditory and authoritative thoughts. Cooperate with them and use their influence to your advantage. Selling cosmetics? Send a free sample to a video beauty blogger on YouTube and ask to mention your kind and “profitless” contribution. Also, any external link to your store from other thematic resources, a “backlink”, will become a good SEO booster. Even the greatest marketing campaign can fail because of the wrong pricing. The sum of requiring money always becomes the ultimate argument for or against the purchase. However, applying a few tricks to your product price tag can lead to a great influence on buying decisions of your customers. For example, set a price $49.99 or $49.97 instead of $50 - old technique, but still works. Or, vice making a “33% discount”, offer to get “33% more for the same price” - it sounds better psychologically. Another way to improve customer service is to offer individually tailored, personalized shopping experience. Our article “ 5 Ways to Increase Sales by Going Personal” will help you to do it in the best way possible. Statistically proven fact: useful and regularly updating website content increases traffic. Thematic blog will not only improve SEO, driving a whole lot of fresh traffic, but position your website as an authoritative resource. Every new useful article publish is another reason to remind about yourself via social networks and email, and an incentive for customers to check out your site once again. Here you can find more information on content marketing. Free shipping is guaranteed to increase your conversion rate. Moreover, 61% of consumers are at “somewhat likely” to cancel their purchase if free shipping is not offered. Start with setting a threshold for free shipping, let’s say, on orders over $50. You can also offer express delivery and free return shipping. The last one will help build customer’s shopping confidence and influence their purchase decision. Of course, the list of free ways of e-business improvement doesn’t end on #7, though, these ideas are among the most effective ones. So, be creative and determined enough to implement some of those ideas and let your business grow.